Architectural plans and specifications for new construction and renovation projects include details of egress and fire door assemblies. Door Safety Consultants (DSC) meet and exceed NFPA’s Qualified Person standard (for NFPA 80 and NFPA 105) and NFPA 101’s Knowledgeable Person standard to perform safety inspections and testing of egress and fire door assemblies. Additionally, DSCs have mastered the skills of writing architectural specifications for door assemblies (in accordance with The Construction Specifications Institute’s (CSI) MasterFormat and SectionFormat specifications and practices). DSCs have completed more than 100 hours of training, specific to Swinging Doors with Builders Hardware, which include online and in-person courses and classes. All of the DSI curriculum. Introduction to the Fundamentals of Specification Writing of the Construction Specifications Institute (CSI). Designing functions of swinging door assemblies. Organizing and listing hardware components for door assemblies. Incorporating door safety inspections into architectural specifications. Writing and coordinating architectural specification sections for swinging door assemblies. Specifying submittal requirements for swinging door assemblies. Reviewing submittals for compliance with architectural specifications. Developing, maintaining, and using master specifications. Performing initial door safety inspections (e.g., punch list). Future categories of doors include: rolling steel fire doors; horizontally and vertically sliding fire doors; service counter fire doors; and more.. 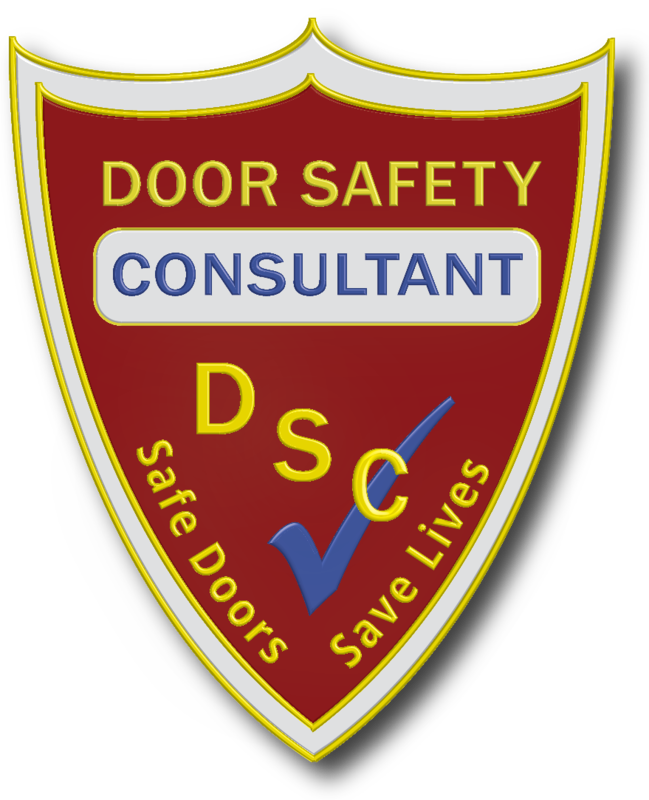 Door Safety Consultant (DSC): DSI certification is required. Candidates can be in-house employees of a facility, employees of third-party service providers, or self-employed. Individuals who are an Architectural Hardware Consultant (AHC) or a Certified Door Consultant (CDC) are eligible for DSC certification; contact us for more information regarding becoming a Door Safety Consultant: How Do I Become a DSC? DSC candidates must achieve a minimum score of 80 percent on the proctored certification exam to earn the DSC certification. DSCs receive a wallet card and certificate as proof of their certification. DSC certification is valid for one year. DSCs are required to renew their certification annually through continuing education.